This time of year is always a bit hard. Friday, August 3, marked 15 years since my grandmother died from Leukemia. Saturday, August 4, marked 6 years since my Gull Bladder Surgery. And on Saturday, August 11, it's been 9 months since I lost my mom. I honestly am doing better. I am a little thankful that I blogged a lot earlier in the year because I don't remember much of it. I was going through the motions and apart of sparks of significant events, it's all a blur. I still mourn a bit everyday for my mom but the loss isn't as severe. I still pause when I want to call and tell my mom something. I want to see her smiling face and know everything is going to be okay. But there are silver linings, my dad and I are so much closer now. I also feel so much stronger than before and I am also easier on myself. What can I say, I am (was?) a perfectionist. I honestly try not take myself too seriously but it happens. I am full of passion about work and my career that suddenly everything becomes so serious. So what's a girl to do to relax? I think its all about the little things that help to put us back into perspective. Jenn (best friend from High School) and I got together and wandered around the mall and had dinner. 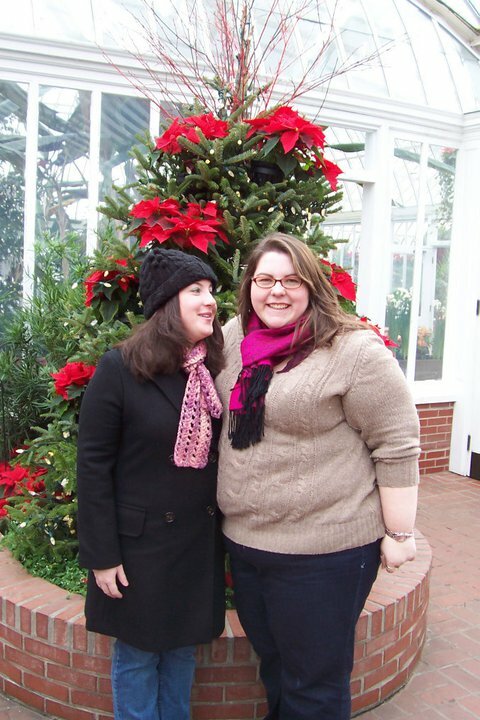 December 2010, Mom was there too. She has been working so hard lately that we really have to plan to get to see each other. I wanted to go for a walk but it was too hot so wandering around the mall was a good second option plus retail therapy helps fight the blues right? So we bought clothes and got lured into a tea shop where I found this little gizmo. Seriously how cool (or should I say hot :p ) is that? It steeps the leaves and then like magic you put it over the cup and it dispenses. Really it is all about the little things sometimes. Overall, this is a busy week but I am so happy Jenn and I got some time to hang out. She always makes me laugh and she has been one of the rocks in my life that helps me to get through the hard times. Thanks Jenn! In other news, classes are fast approaching but so is fall and that is my favorite time. I have some plans to blog a bit more. While I am not apologizing for my lack of posts, there is just so much more I want to share so be prepared. I should be able to cook more and show you all my creations. Plus it's pie season and I love making pies! I still have to get pictures off of my camera from my DC trip with my friend Stephanie. 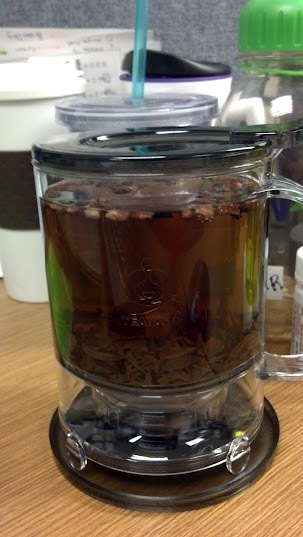 I really really love the tea dispenser, I seriously need one of those! I'm glad that you are finding ways of relaxing and getting through difficult memories. I'm definitely excited to see some of those pies!